To specialize in the supply & installation,testing,commissioning and maintenance of medical systems & mechanical installations and to provide total solutions to clients in medical systems. To provide high quality service to the entire satisfaction of our clients. To be the market leader in the supply & installation,testing,commissioning and maintenance of medical systems. & mechanical installations. To maintain and improve the quality of services,to introduce a fully fetched service by undertaking construction,plumbing,electrical and mechanical contracts related to installation of medical systems & mechanical installations. We commenced Business as an Automobile & Mechanical Engineering establishment in 1992 and moved over to the Medical Engineering field in 1998. Our experience in the Medical Systems field extends to over 10 years and having built up a reputation for quality Products, Installations and Maintenance of Machinery & Equipment are now being sought by International clients. 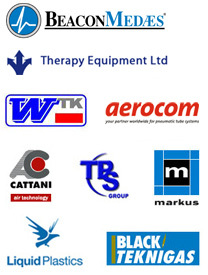 We are also involved in the Supply & Installation of Central LPG Systems, Industrial Incinerators , Laundry Systems & Fuel Tank Farms Our Range of Products & Services are a variety and in order to maintain our reputation we have only selected the best of each Product and continue to extend our Customer Support by extending an excellent after sales service. © D & W Enterprises All Rights Reserved.